CARACAS (Sputnik) - The United States is using the delivery of humanitarian assistance to Venezuela as a pretext for unleashing a potentially catastrophic in the Latin American country, Jorge Valero, the permanent representative of Venezuela to the United Nations, told Sputnik. "The government of Donald Trump is using humanitarian assistance as a pretext for unleashing war, which may have catastrophic humanitarian consequences. Venezuela is a sovereign country that is capable of restoring its economy by implementing its own projects, which have been developed by President [Nicolas] Maduro", Valero said. The statement comes after Venezuelan President Nicolas Maduro on 5 February dismissed the US promise to send relief aid to the crisis-hit South American country as a "political stunt" and a pretext for invasion. 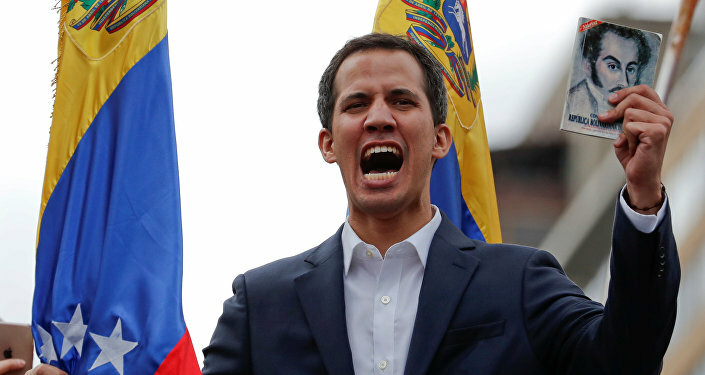 Guaido proclaimed himself Venezuela's interim president on January 23. Maduro has in the meantime called him a US "puppet" and accused Washington, which has stated that it has all options on the table with regard to a response to the crisis, of organizing a coup in the Latin American country.